We got you coverd, check those faq if its not there just ask us. Is this app free ? Yes initially SRTV is a free Application/Plugin and always will be, but there is now an option to upgrade. How do i make a pair my device ? Go to “Pair” in the header menu and then generate a token, type the token ID that is displayed on screen in to the SRTV application and enter. How can i download a update. SRTV should update automatically update through the Application and addon repository, or you can choose to update from a third party app store. Is there any paid versions ? 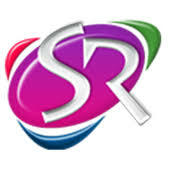 Yes, there are paid versions of SRTV which enables you to upgrade your viewing experience.